Springford twin located on the edge of town yet close to major routes, public transportation, shopping and medical facilities. Original Woodwork remains in the home with modern conveniences added. 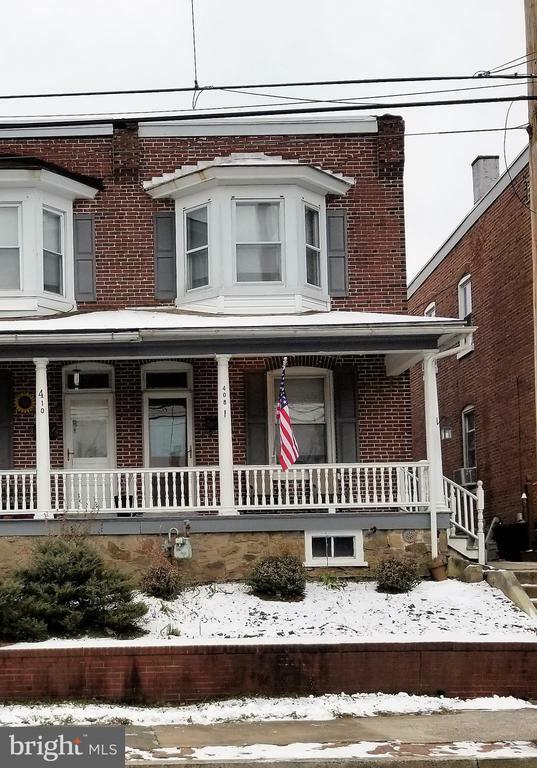 1st floor features the living room and adjoining dining Room with original turned staircase, 1st Floor Laundry and Eat-in Kitchen with exit to rear porch and patio. The 2nd floor features the main bedroom with bumped out window bay, 2 additional bedrooms and bath. Sit and relax on the large front porch on enjoy your morning coffee on the rear patio. One Year Home Warranty included with accepted agreement. Selling Agent: Richard A Opperman Jr.